“On no count has the government done anything to implement the Supreme Court judgment. In fact, they have done everything to subvert it and make the situation worse,” says author and sociologist Nandini Sundar, on whose petition the apex court in 2011 banned the Salwa Judum, a state-sponsored militia propped up to counter Maoists in Chhattisgarh. In its hard-hitting judgement, the Supreme Court had ordered the prosecution of all those involved in criminal activities of Salwa Judum, the architect of which was controversial Congress leader Mahendra Karma. 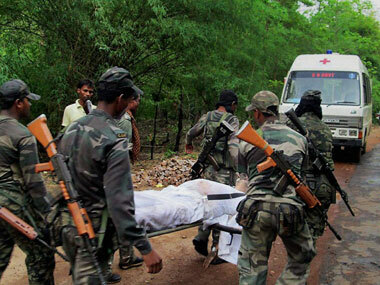 On Saturday, Karma, the tribal leader from Bastar was among the 27 people gunned down in a deadly Maoist attack on a convoy of Congress leaders while they were returning from a political rally. The Supreme Court had directed the state government to investigate all previously “inappropriately or incompletely investigated instances of alleged criminal activities of Salwa Judum”, file appropriate FIRs and diligently prosecute the guilty. But no one has been prosecuted, says Sundar. “Somebody like Mahendra Karma should have been in jail a long time ago,” she adds. Asked whether the scale and nature of response by the government to the deadly attack was a cause of worry and what she would like the government response to be, she said, “I am very saddened by the attack and I think it is terrible… Firstly, I would like to see the government implement the Supreme Court judgment. Secondly, I would like to see them resign for their complete failure to address the whole issue.